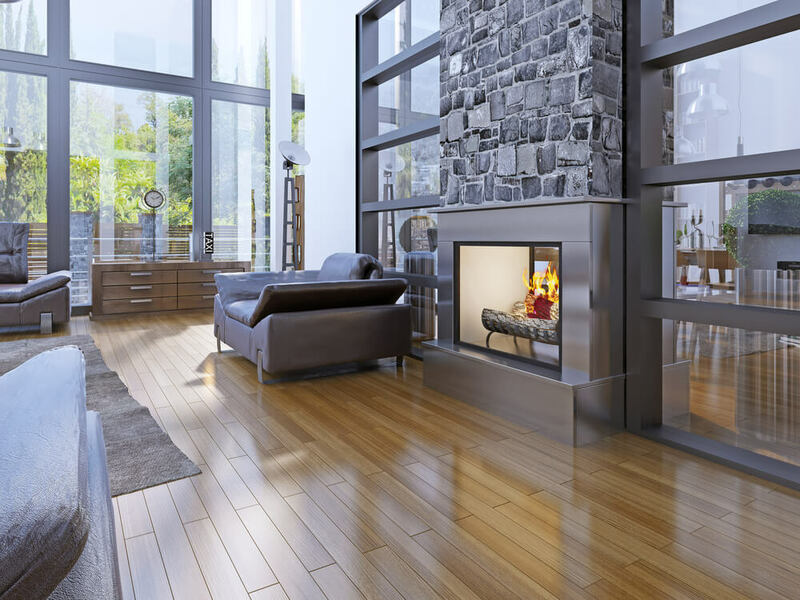 Modern fireplaces have upped the fireplace game since technology changed the way we commonly warm our homes. 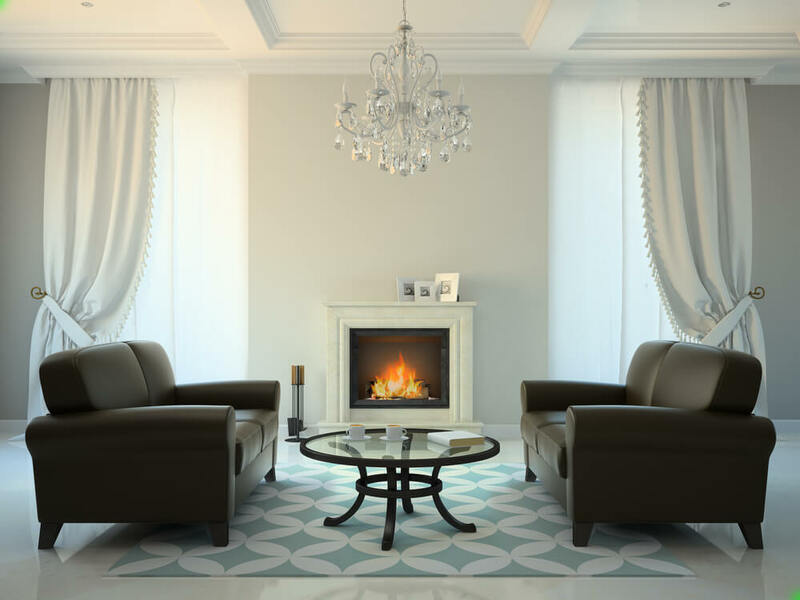 Many of us have chosen to keep the traditional fireplace as a centerpiece, but how they look and feel in our homes has changed dramatically. 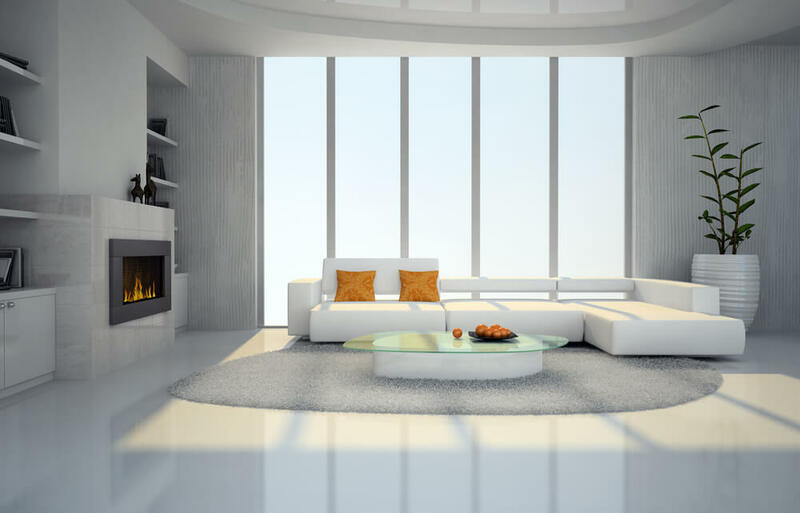 Technology means that fireplaces no longer need to be vast and obtrusive in our homes. They can also be understated and minimal, and matched perfectly to suit the personality and atmosphere in our homes. 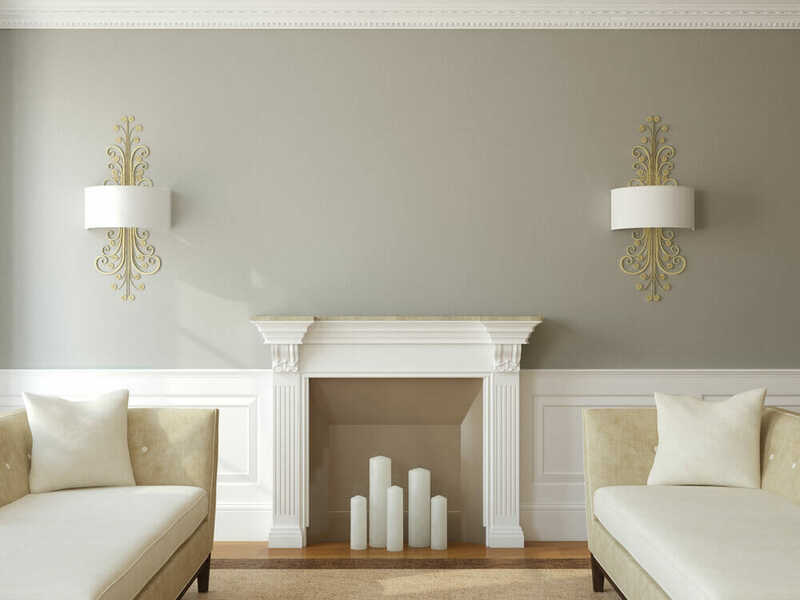 There’s also now more choice available than ever before, and with clever design and building work, how we incorporate fireplaces into our homes is becoming more and more creative. 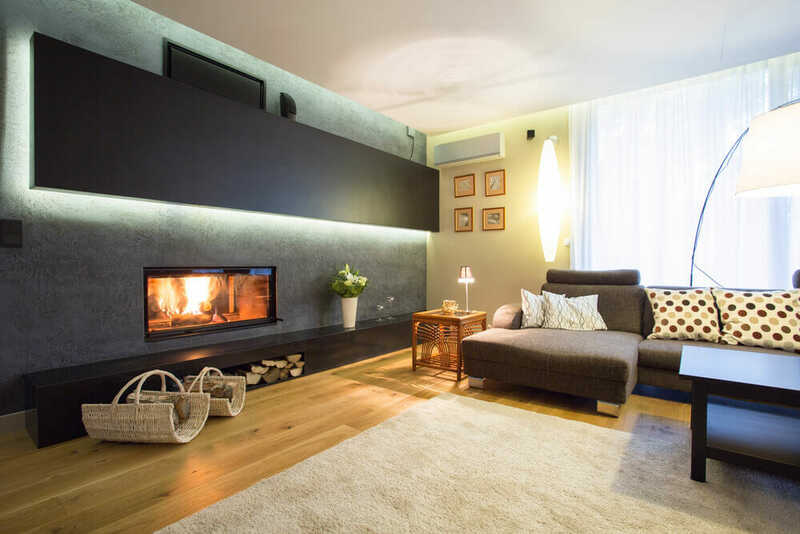 Electronic fireplaces are a popular feature, which are more minimal and have less negative impact on our environment, but provides home owners with a source of warmth and a comforting display of faux flames. 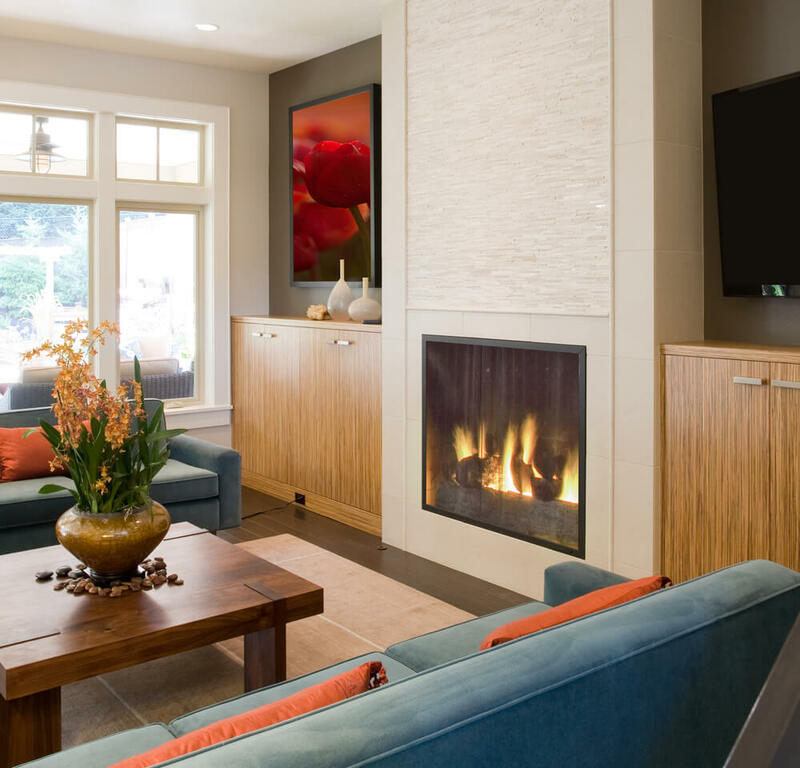 Electronic fireplaces can be built into any part of a wall, with many people choosing to install their fireplace at eye-level when seating, so they can get the most from their fire when they’re sat down and relaxing, often in the living room. Island fireplaces are another new way to make a statement with your fireplace. 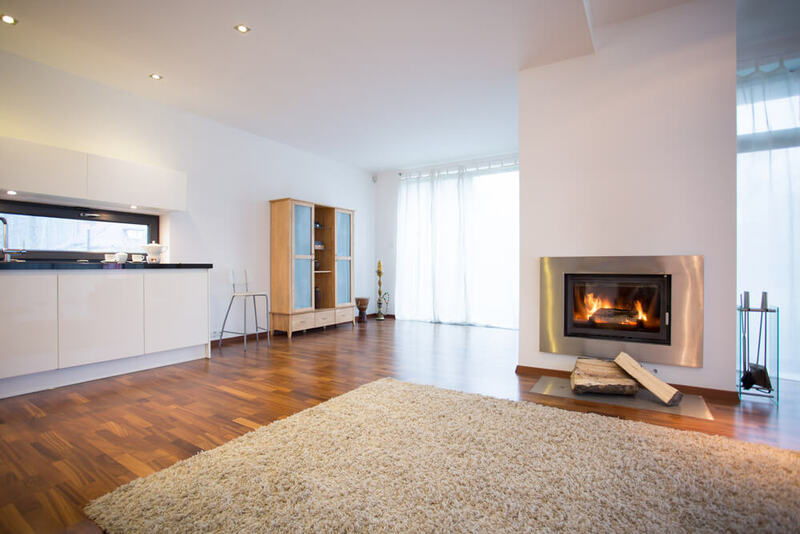 Instead of building your fireplace into one of the room’s main walls, you can add your fireplace to a superficial wall in the centre of any room, provided there is enough electricity available; a simple job for any builder or electrician. You can break up your home, and add a quirky and unusual twist for fun and added personality. 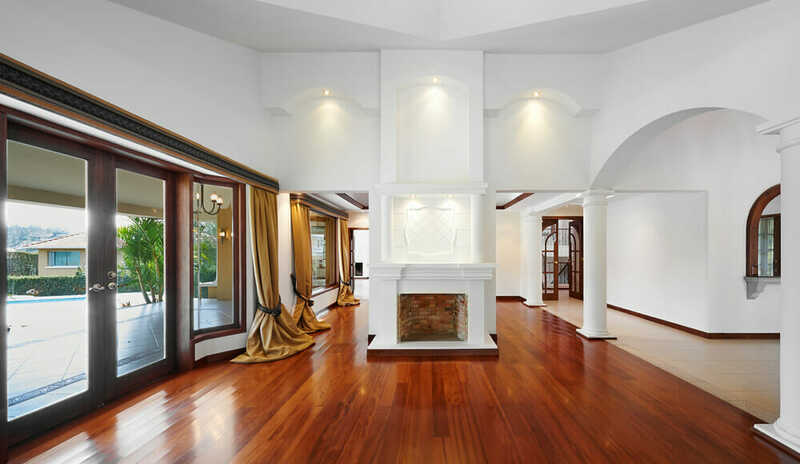 This will also make your fireplace stand out more and be more appreciated as a stand-out feature. 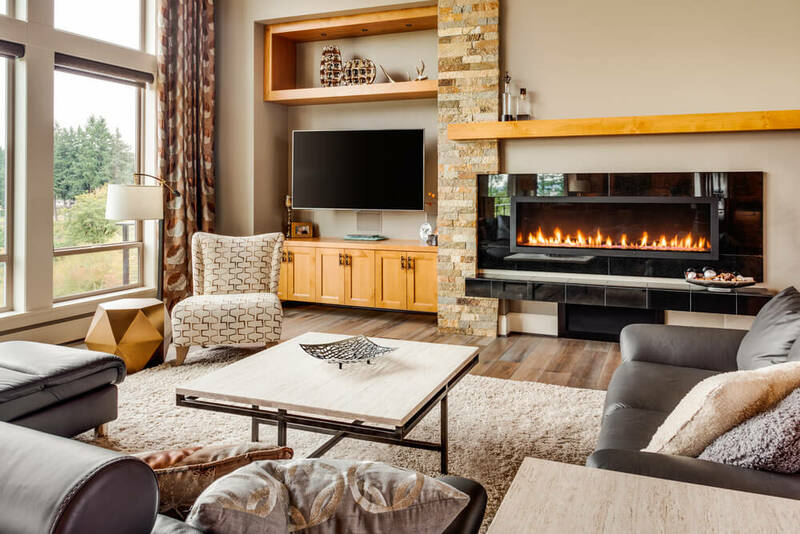 Traditional fires used genuine logs to generate heat in the home, and while this is no longer necessary, a popular fireplace surround feature is the collection of neat wooden logs to bring a stylish sense of authenticity and rusticity to your fireplace. 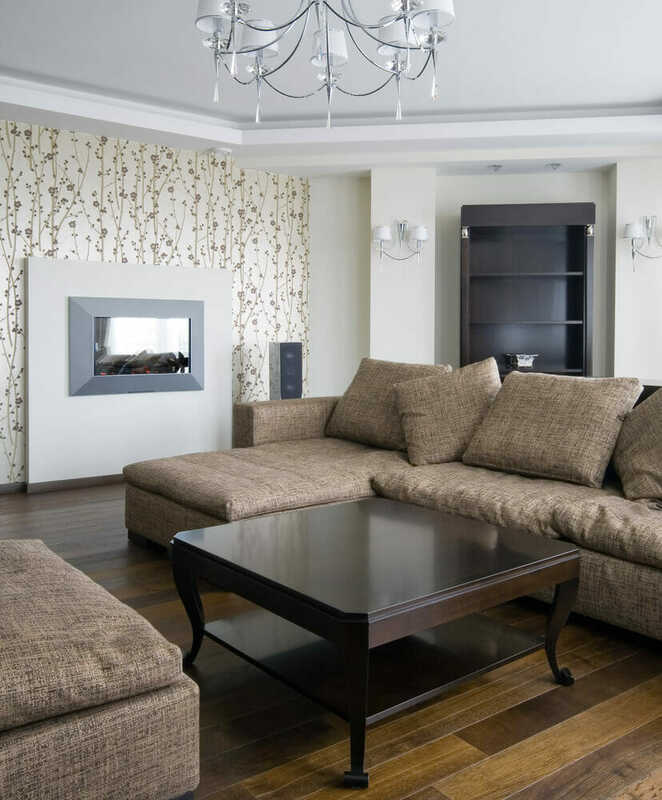 If you’ve employed an interior designer to support your home makeover project, gather their thoughts and ideas on modern fireplaces as the choice available can be overwhelming, and the solution you’re looking for might not be the best fit – there are quirky and alternative options to suit every home and your interior designer is best placed to inspire you and source the best solution for you and your family. From a closer angle, we can see how the fiery orange tones stand out against the grey and black minimalist color palette. 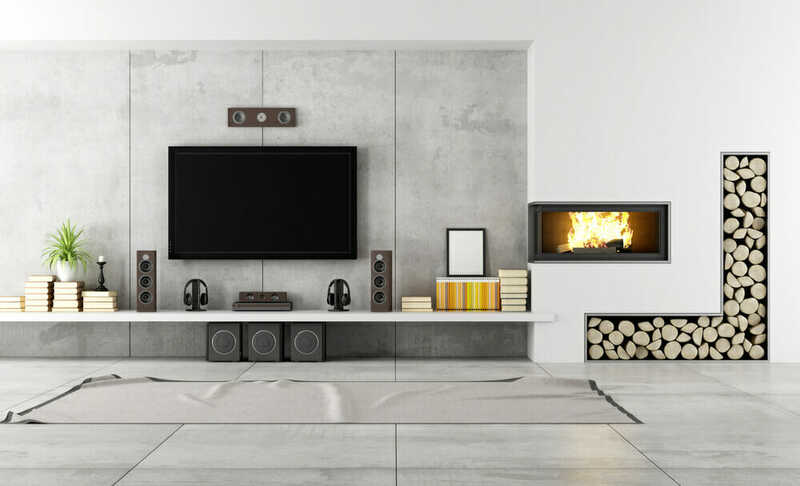 This electronic fireplace with no fuss brings a homely but modern feel into a very masculine living room. 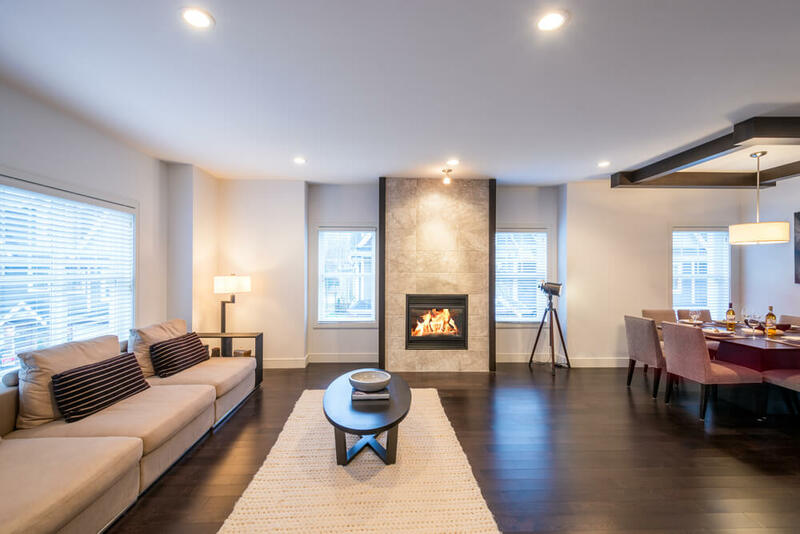 The reflective cover of this modern fireplace acts as a mirror when not turned on, bringing more light into the very airy and open relaxing living room. 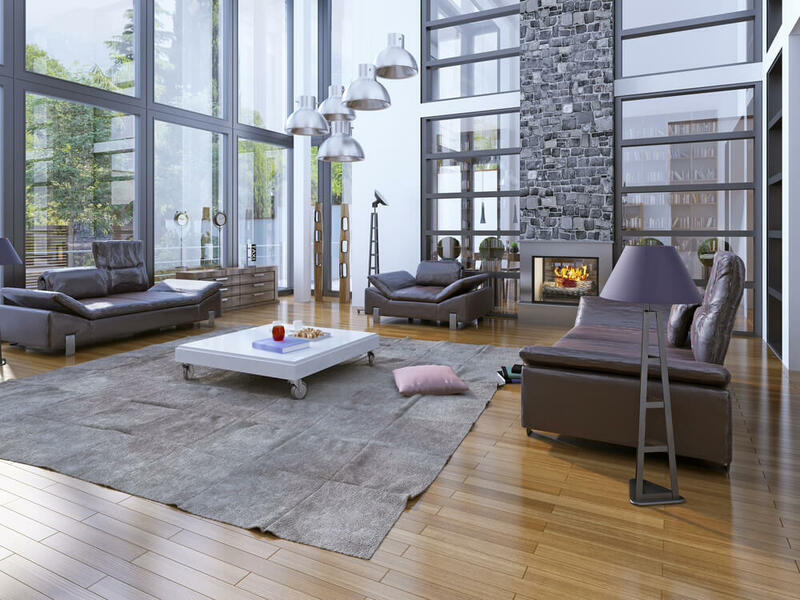 This modern home is a little more busier, with warm and elaborate rug matching the fire’s warm colors and fast, flickering movements. This fireplace sits entirely flush into the wall so that it becomes only a visual impact, and not a special impact. 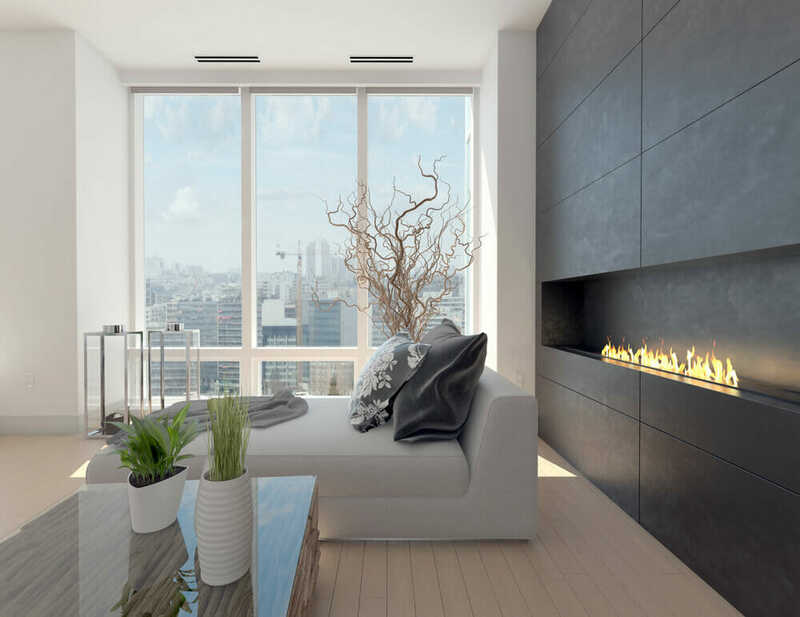 This is another fully flush fireplace; this time with a sleek black façade to match the large black accents across the room in the art, television, and lampshade. 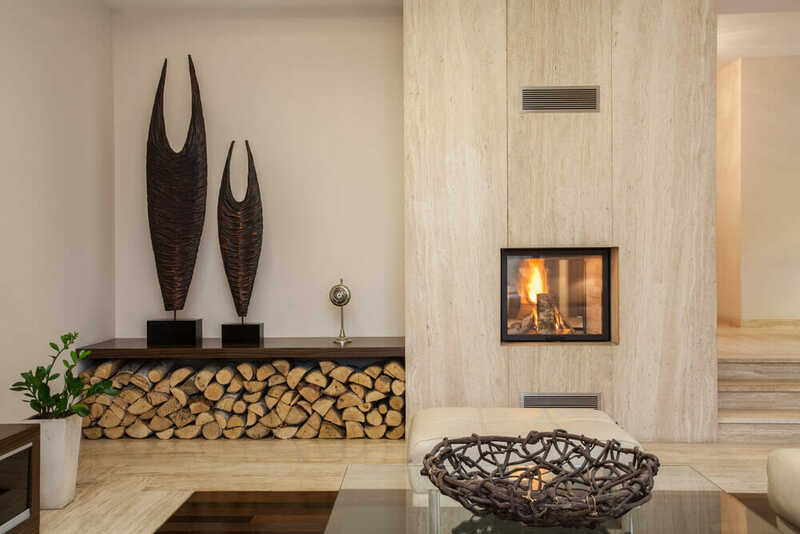 This small fire certainly adds movement and warmth to the home, but doesn’t take the place of the most outstanding feature, instead acting as an accessory to the grand pieces of art. 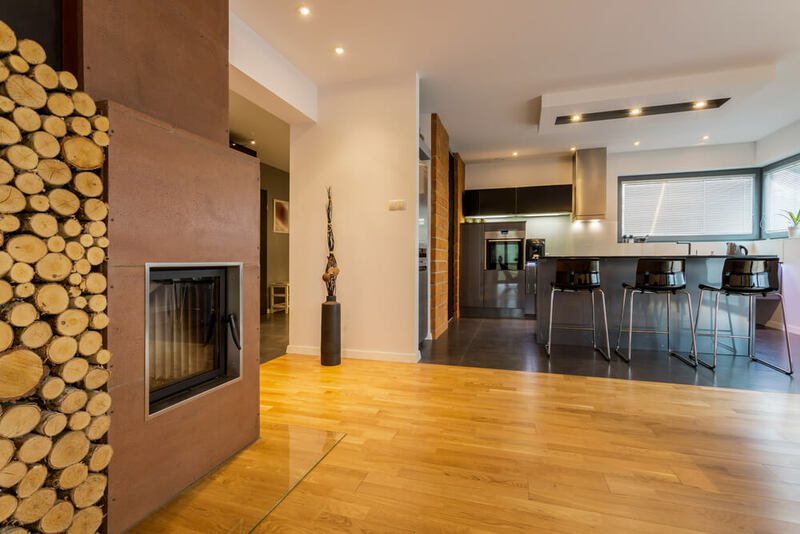 This is a fine example of how modern design and technology is changing fireplace design. 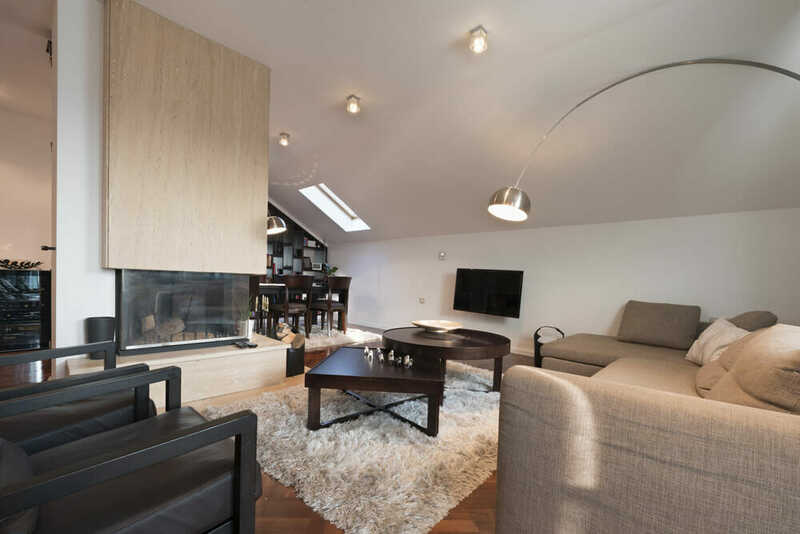 We love this streamlined internal fire pit! Another sleek casing and a simple background for a fireplace. 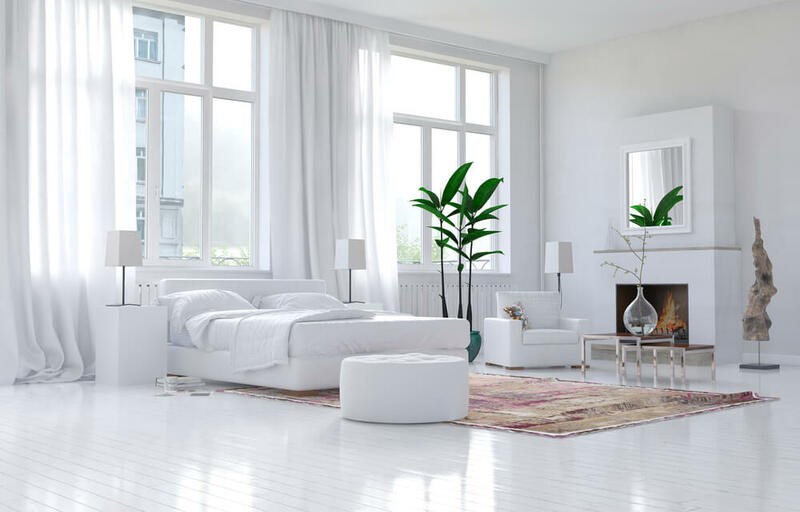 With a blank white canvas, you can’t go wrong! 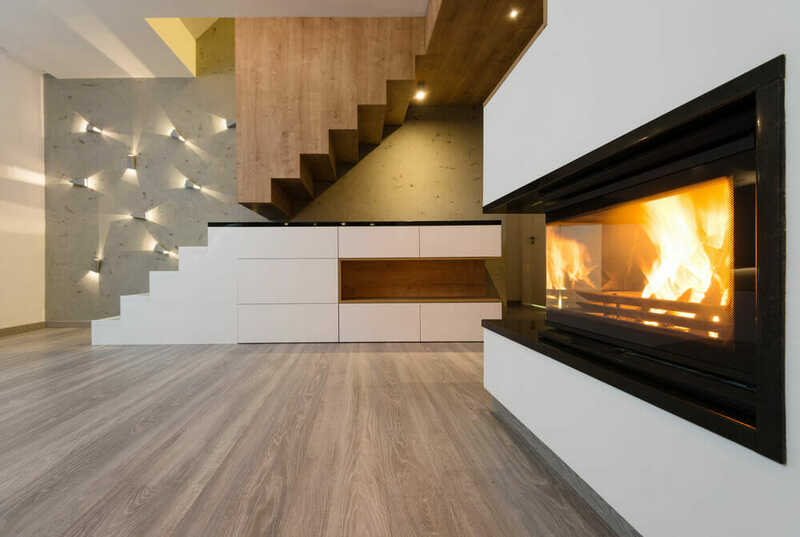 This funky fireplace is surrounded by a very cool and modern wood storage for burning and decoration. 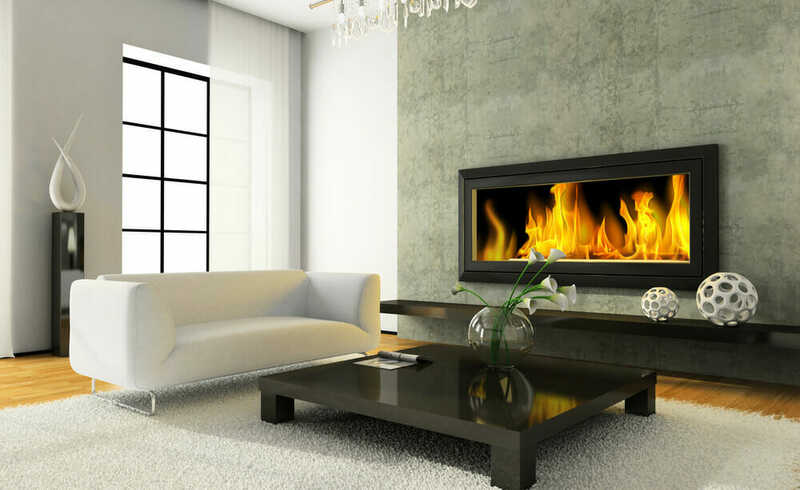 Silver stone and a dark grey fire surround contrast beautifully against the fast-moving and warm toned flames. This central fireplace makes a beautiful room centerpiece, dividing a large open area into separate rooms. There’s also shelving space above for adding items of décor. A fireplace isn’t just a feature for the living room; this one makes a fantastic addition to the kitchen area! 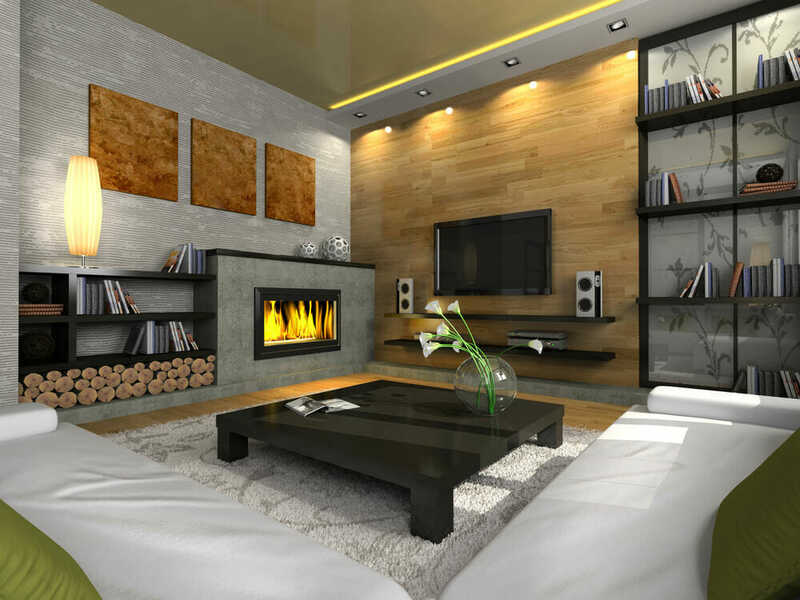 This corner fireplace with a tall wooden surround takes up a lot of space but its neutrality and sleek design make it a very stylish and suiting addition to this busy living room. This dark but small fireplace is one of very few dark items in an all white room, instantly making it the main feature in this cool home. 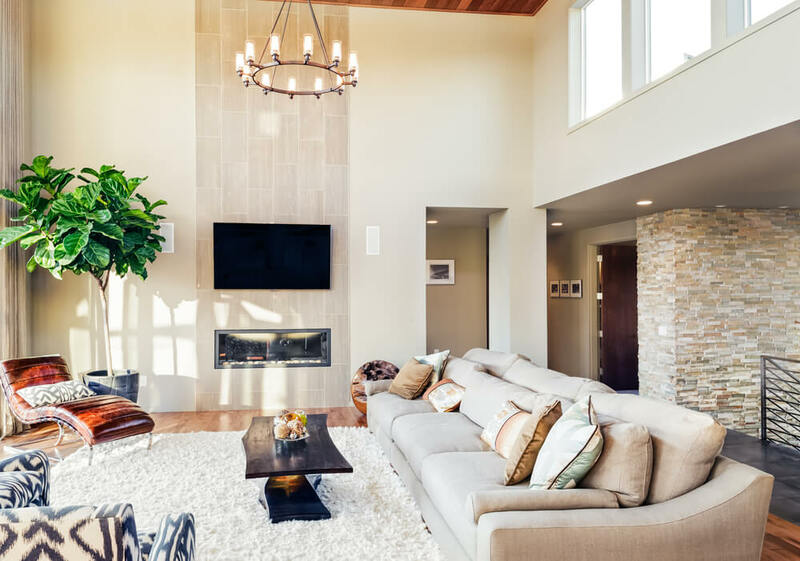 Minimal meets warm in this subtle but comforting home where the fire, soft leather, and bold decorative items bring subtle hints of personality into a very stylish living room. This dark and small fireplace looks stylish and sleek when surrounded by light and neutral stone. 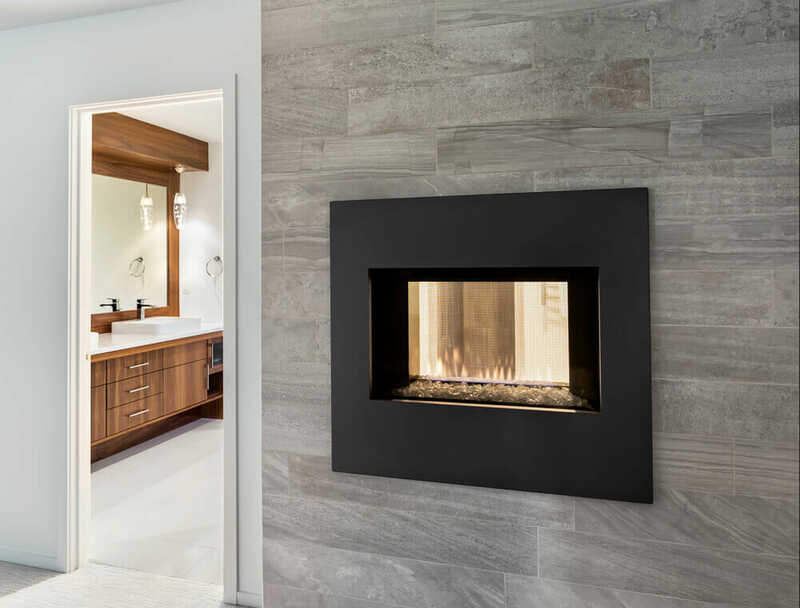 This gorgeous fireplace proves that you don’t need a working fire to have a beautiful fireplace. 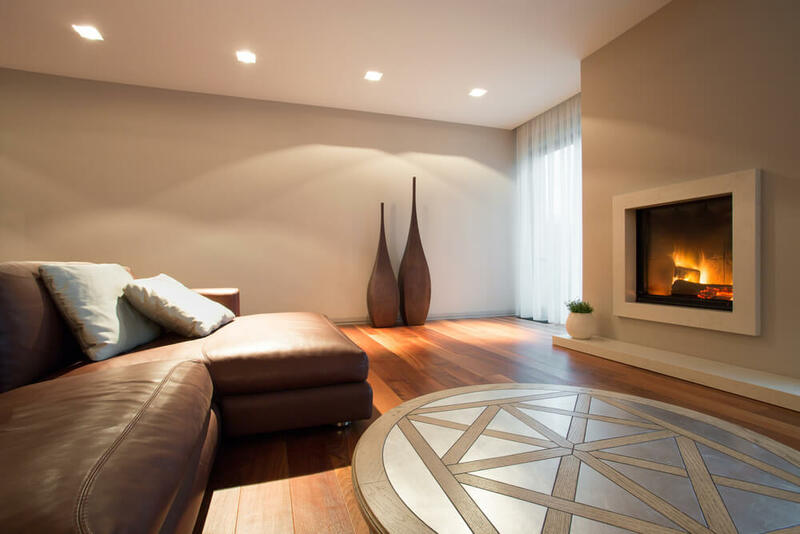 Replace a fire with a few candles, which look fantastic when lit and unlit. A reflective surround for this fire attracts light and attention to the fireplace, whilst the addition of a few decorative logs add authenticity and class. This fireplace brings color and movement into a very calming and still living room filled with light colors. 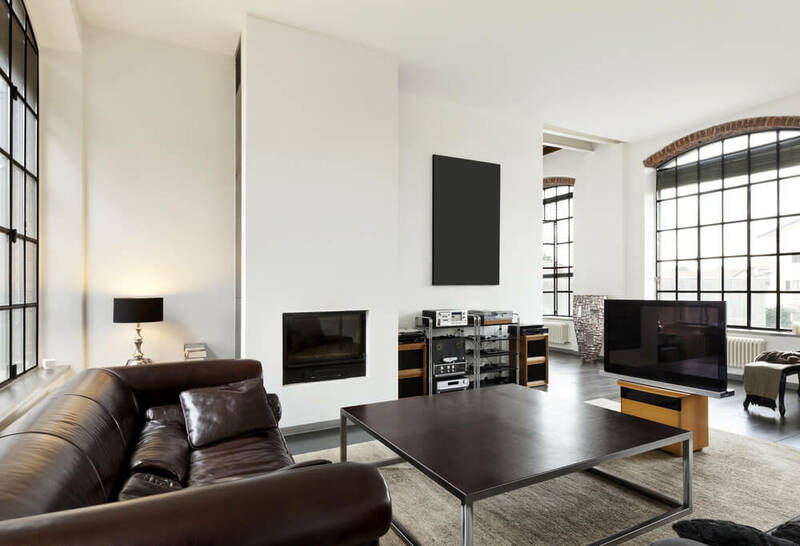 The vast width of this fireplace and really strong reflective surround makes this fireplace the room’s most striking feature, turning the television and large windows into secondary features. This corner fireplace would look outstandingly unusual in any other home, but in this contemporary paradise, it is a perfect suitor for the clean lines and unusual shapes and color selection. 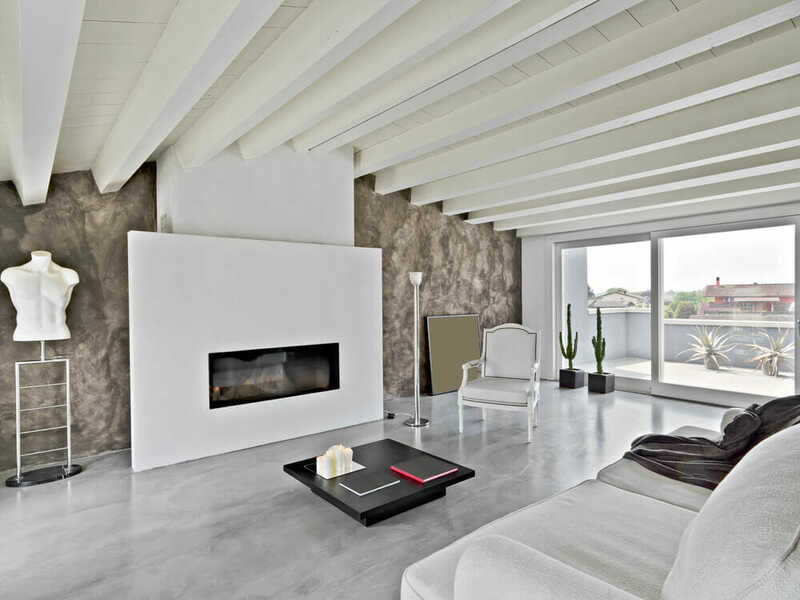 Another gorgeous all white room with a striking fireplace to add warm tones. This time, we see see how a fireplace can add luxury and homeliness into a bedroom area. This fireplace has a very big impact on this room, but the amount of grays and subtle colors in the room mean that even the fiery orange colors can’t take anything away from the neutral color palette. Up close, we can see how the neutral color palette surrounds the fire completely and wraps the fire to make sure that the cool and relaxing atmosphere isn’t sacrificed with a warm and moving fire. This fire is the first step in turning this cool living room into a comforting and relaxing one. The further addition of warm brown features and soft textures turn this into the ultimate relaxation room.